LOUIS A. CICCONE “Together Again” AUSTINTOWN – Prayers will be held Monday at 9:30 a.m. at the Higgins-Reardon Funeral Homes, Austintown Chapel, followed by a Mass at 10 a.m. at the Immaculate Heart of Mary Church for Louis A. Ciccone, 80, who passed away Wednesday evening, Jan. 30, 2013, at his home with family by his side. Louis was born June 18, 1932, in Aliquippa, Pa., a son of the late Crencenzo and Maria Ciccone. Louis was a 1951 graduate of St. Veronica in Pennsylvania. He served in the Army during the Korean War. He was a coordinator for GM Lordstown for 31 years, retiring in 1997. He was a member of the UAW Local 1112 and Pacentro Club. 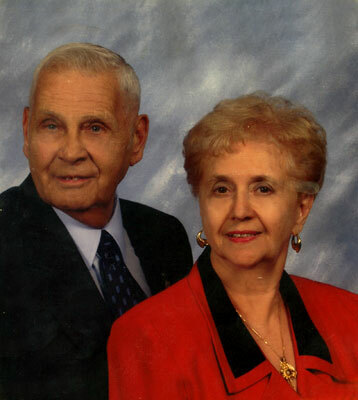 His wife, the former Florence G. McChancy, whom he married April 12, 1958, passed away Nov. 22, 2012. Louis leaves his children, Chris Ciccone of North Jackson, David (Mary Lynn) Ciccone of Austintown, Patrick (Pam) Ciccone and their children, Michael, Cara, and Justin of Berlin Center, and Karen (Steve) Kubala and their children, Gina and Vince of Poland and two sisters, Gloria (Gilbert) DiCenzo of Monaca, Pa., and Laura (Dominic) Lombardi of North Canton. Louis was also preceded in death by two sisters, Viola Cercone and Diana Francis, and a brother, Raymond Ciccone. Family and friends may call Sunday from 2 to 4 p.m. at the funeral home. Material tributes may take the form of donations to Angels for Animals or Hospice of the Valley.